If you pinned me to the ground, demanding a list of the Xbox 360’s best games, I can promise you Bastion would fall out of my terrified lips. I would also be very confused throughout the whole exchange, but as long as you let me go after I rattled off 15 or 20 games, I think I wouldn’t press charges. By including the game on such an esteemed list, I’m not implying Bastion is flawless -- rather, it’s a very singular experience. It’s not mechanically engaging by any stretch, but the visuals and story are peerless, enhanced by a soundtrack I still listen to four years later. This game would be a steal at $20 -- selling it for $15 is a crime. And now you can get it on the PlayStation 4! Bastion is still easily worth the price of admission, especially on this new generation’s most popular console. But unless you’ve been jonesing to play the game again and you have no other way of getting to it, there’s nothing special here; nothing that necessitates a return trip. 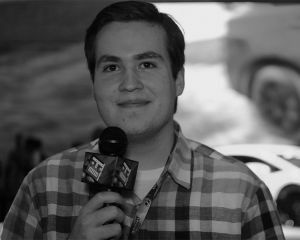 I feel confident saying Bastion is going to win a lot of new fans on the PlayStation -- emphasis on the ‘new’. For everyone who missed the bus, Bastion is about the fantastical world of Caelondia, ripped to pieces by an apocalyptic event known as The Calamity. You play as The Kid, a former soldier who wakes up on a floating chunk of earth to find the life he knew in pieces, hovering just below his feet. He sets off for the titular Bastion, where everyone agreed to go in case of trouble -- and a world ripped to pieces certainly fits the definition of “trouble.” From there, The Kid uncovers a sordid tale of racism, genocide, love, nationalism, and, ultimately, empathy -- all narrated by the smoothest narrator alive. Bastion is utterly fascinated by the human cost of the apocalypse. The Calamity hasn’t really changed the characters, but it has brought the secrets of the old world to the surface -- and that's bad news for certain survivors. Replaying Bastion has given me a newfound appreciation for the game’s story. In fact, it’s so good that it makes Supergiant Games’ follow-up Transistor disappointing in hindsight. It’s a shame the gameplay doesn’t quite meet the challenge set by the aesthetics. 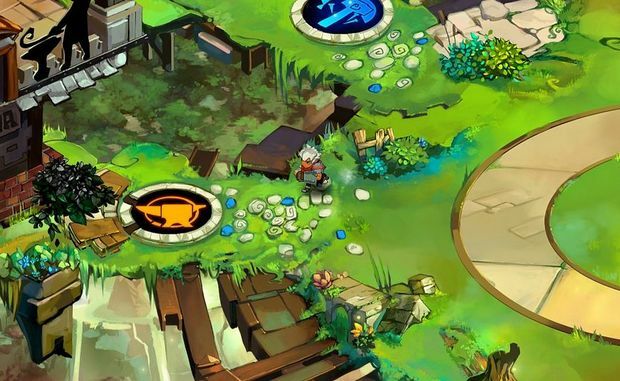 Bastion is an isometric hack-and-slash game with RPG elements, and for once, the otherwise perfunctory RPG elements are the best part. The Kid has access to ‘spirits’ that can bestow additional health potions, or a larger health bar. Your weapons also have their own upgrades & modifiers, allowing for a wide variety of spirit/weapon upgrade combinations. Even if you settle into a groove, the game also provides Idols -- Halo-esque difficulty modifiers, some of which make the game unreasonably difficult. So, in theory, there are infinite ways to experience Bastion’s numerous dungeons. Problem is, Bastion isn’t very fun to play. It’s not bad by any stretch, but any combat encounter just devolves into button mashing after a certain point. Combining the complexity of Bastion with the core mechanics of Transistor would be ideal, and I hope Supergiant finds a happy medium in the future. I never felt like I was slogging through fights in order to get to the story, in part because the omnipresent narration is fantastic, so I don’t think anyone will drop the game because of any one particular dungeon. This was all true back in 2011, and it remains true in 2015. No more, no less. The game didn’t run poorly on Xbox 360, and the exceptionally definitive art style looks incredible on any platform. If you have a 360 handy, a PC/Mac that can handle the game, or even an iPad, there’s nothing more to entice you -- not even a PlayStation exclusive weapon. This port is just Bastion; a fantastic game on a platform it wasn’t on before. Make of that what you will.